MLS is back, with a changed post season format and a whole raft of new signings. Without going into absurd levels of detail here, the season will now finish a month earlier and the post season matches will all be one-offs, meaning that the team which finishes higher in the regular season table will start with a massive advantage. It's good and it's progressive, and it adds weight to every single fixture during the regular season. The reigning Champions Atlanta United have lost a star in Miguel Almiron, and recruited another in the shape of Piti Martinez, and Josef Martinez will look to break his own regular season goalscoring record. Atlanta, under Frank De Boer, start the campaign as favourites, but there'll be so many teams knocking at the door that we could be in for the most competitive campaign in MLS history. The schedule has done fans a massive favour by matching these two on the opening weekend. DC United finished the last regular season like a runaway train, but their momentum stalled in the play-offs. Ben Olsen's side will surely challenge this season, especially as DCU have managed to keep hold of Wayne Rooney's strike partner Luciano Acosta. "Lucharoo" were a hit last year, and will surely continue to be. With DCU winning six of their last seven at home, I'm surprised to see them as big as [2.7] to beat last season's winners. Almiron is a big loss, and we know from his experience in the Premier League that De Boer can take a while to get going as a coach. We don't know how good the new Martinez will be, and that means that there are more question marks about the visitors than the home team. Olsen has had a close season to work with his improving side, and they'll surely look more cohesive as this season gets underway, and the fact that DCU won their last game here against Atlanta will give them confidence. Acosta, too, has four career goals in MLS against this opposition, more than against any other side. 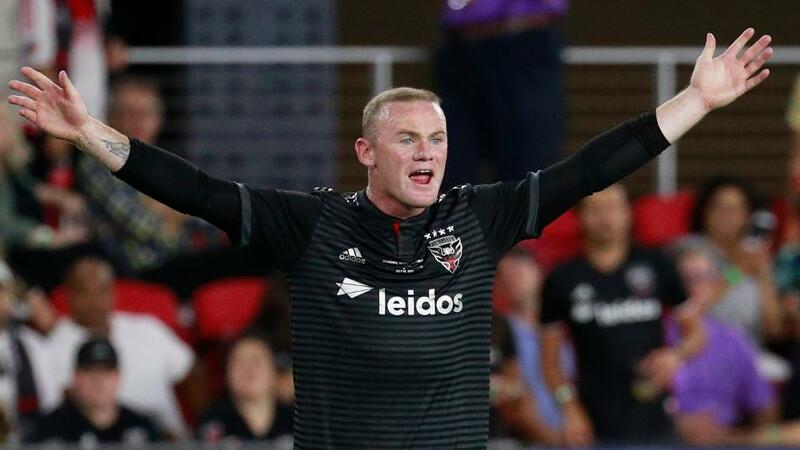 On balance, DCU might be a wave worth riding, and while I appreciate the danger of opposing the Champions, I think I'll get behind Olsen and Rooney to make a flying start to the new MLS season. One of the key pieces of close season business was the LA Galaxy committing Zlatan Ibrahimovic to another season at the club, and with a new man in charge, and tragedy driving the players forward, I can see the Galaxy coming close to winning MLS Cup this season. Club legend Sigi Schmid passed away on Christmas Day, and given his popularity around the club, and the fact that he coached them for much of last season, it was a loss that was felt especially hard. Many players have talked about winning for him this season, and while all of that can come across as a little mawkish, don't forget that it can also be a driving force. The new coach is Guillermo Barros Schelotto, a former MLS Cup winner and MLS MVP who arrives after a successful stint at Boca Juniors. He is an outstanding individual, and just what the Galaxy needed. I simply can't see him failing. The Fire have stuck with Veljko Paunovic, have recruited relatively well, and should have the makings of a good team, especially if the wonderful Nicolas Gaitan can roll back the years. They were terrible away from home last season, though, losing eight of nine, and that is the first thing that the coach has to put right. I think that he'll struggle to do that at a fired up and well organised Galaxy. The home team are reasonably priced. I expect Minnesota United to over-perform this season, not necessarily by winning MLS Cup, but by making the post season, and going further than many expect. Adrian Heath's new look team begin with a trip to Vancouver, and while I'm not going as far as tipping them to win this at [3.35], I can see them causing problems, and can see the game having goals. Four of Minnesota's last six games of last season went Over 3.5 Goals, and I can't see them significantly changing their way of doing things. Heath has always tried to play attractive football, and he'll be able to do so this season with more weapons at his disposal. Vancouver lost five times at home last season, but given Minnesota's road issues (they won just once), I'm not ready yet to put all of my faith in them, but the fact that the two home clashes in the last campaign featured nine goals, I think that we can be hopeful of more goals here. New Vancouver coach Marc Do Santos has already pledged that his team will entertain, and I think that we'll see a bright start to the season at BC Place.